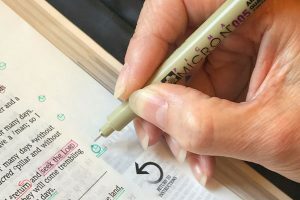 A group of ladies committed to studying God’s word together, growing in knowledge and faith and cultivating hearts that are slowly becoming more like Christ. Our group includes ladies of all ages and stages of life from a wide variety of churches and backgrounds. New ladies join us regularly. We meet once a fortnight from September through to May (Mon evening or Wed morning). There are two types of study on offer. These studies require a reasonable amount of preparation at home (although we encourage people to come even when they have not been able to prepare.) The course materials guide you through each lesson while the discussion times provide space for questions. Participation is voluntary – feel free to join us and simply listen to the discussion. These studies require very little preparation. They run in 6-week blocks and are ideal for those who are new to Precept or who find themselves in a season of life where preparation is more of a challenge! If we are honest, having the discipline to study the Bible is hard. Studying together helps both to get started and the encouragement to keep going. We have found that studying together has helped us to get to know each other better, building friendships that are deep and lasting. For more information, contact Rosemary Johnston or Karin McIlwaine. Alternatively, use the Contact Form.